Sign up on Lovely Lady Products Newsletter for a chance to win one of our lovely winterize your skin organic body care skin sets. During the first week of October 4th, 4 winners (a winner each week during September) will be selected to receive their customized organic body care skin set for upgrading their beauty routine with the intent to improve and keep the skin healthy during the winter months and beyond. After reading our tips on winterizing your skin, please remember to click the link at the bottom of the blog to signup for a chance to win an organic body care winterize your skin set (Facial Cleansing Bar, Facial Nutrient, Night Serum, Toner, Shampoo Bar and your choice of for a lotion, body butter or a solid lotion). Hello Lovely Fans, right now you are probably scratching your head and saying, "Isn't it a bit premature to be discussing winterizing your skin since we still have a bit of time before fall hits. Not really my friends, depending on where you live, the changing of the seasons can catch you off guard. Hear in Colorado, you can find yourself shoveling snow in September, so I think it's a good idea to at the very least arm yourself with knowledge about how cold weather can effect your skin and what to do about it. Why the concern about cold weather and the skin? During winter temperatures and humidity drops can affect skin dryness, the strong harsh winds can cause dry, parched and cracking skin (winter weather can pull the moisture from your skin). Humidity below 30% does a number on the skin, especially our lips and hands if your more than a bit over thirty something. BIG SMILE! The winter months and its low humidity dries out your skin and if you're using harsh soaps, you can look forward to it stripping away the natural oils in your skin. The ability to produce more natural protective oils (that area called the sebum) declines with age. Please note that it's also a good idea to stay away from the toxic chemical soaps, they do a lot more than dry out your skin. Winter temperatures are also known for making your skin feel dry, especially our hands and feet. Rough! Avoid toxic soaps, as I stated above, they dry out your skin and the chemicals are horrible for your health (try our Everlasting-Argan Facial Cleansing Bar, the performance speaks for itself). Avoid taking baths in very hot water, soaking in a Jacuzzi and taking long hot showers (I sure miss the hot baths during this time of year, love the hot water, but my skin is always lovely during this time, go lukewarm). Yes, leisurely hot baths and showers are so wonderful but too much of it is bad for the skin. Inundating skin with water breaks down the substance that keeps skin cells intact. Keep your showers and/or baths short and not too hot during the winter months. No astringents during the winter, they dry out your skin. Please stick with clean ingredient toners. You might try our Helichrysum Hydrosol Skin toner. Avoid wearing wool and other scratch textures next to your skin because they irritate it and can lead to itching. If you must, wear cotton camisoles or undershirts underneath wool clothing. Avoid exfoliating too much. Yes, that's what I said and here's why. Exfoliation might cause more skin sensitivity in the winter months. So if you are exfoliating more than once a week, you should only do this once a week even if your skin isn't sensitive. Try using just honey and a bit of brown sugar to exfoliate or try applying lemon juice to the skin for about 5 minutes to dissolve away the dead skin. Not a good idea to wash your hair every day during the winter months due to cold winds, your hair and scalp are left very dry. Drink plenty of water, its helps your skin to shine; however drinking it from the bottle can cause your lips to chap, so be armed with a lip balm. We do not make an organic lip balm because our Facial Nutrient is a multifunctional product; it's a facial moisturizer, eye cream, nail cuticle nutrient and lip balm all in one. Do eat fat, the good ones. Try adding avocado to your salad and/or cook with olive oil, it's very healthy and beneficial so do incorporate these healthy fats into your diet, hydrating your skin from the inside out. Natural sun-screens (read your labels and make sure they truly are natural). You are trying to avoid cancer from the sun, not soak it up from a product. Do use serums under your moisturizer. Serums are important in the winter months, try adding it prior to your normal moisturizer for that added protection. Our immortal rose oil and the night serum are extremely light so no concerns over changing the consistency of your moisturizer. They also absorb into the skin very quickly leaving no oily residue. Do keep your skin, especially your hands clean and healthy in an effort to avoid the spread of winter illnesses (colds and flu). Not a good idea to use too much antibacterial soaps gels and wipes because they are usually full of alcohol and will most likely dry out your skin. This strips away your skin's natural oils. Just note that plain soap and water will kill most germs and keep you from getting sick. Invest in a high quality and pure shampoo and conditioner to get a healthy shine. Do wash your hair once or twice a week and use lukewarm water to avoid frizziness and to maintain maximum moisture (read about our Everlasting-Argan Neroli Shampoo/Conditioning Bar). Everlasting-Argan Immortal Rose Oil - Amazing for dry, red, irritated and aging skin (also exceptional for a deep conditioning of hair). Helichrysum Hydrosol Skin Toner - wont dry out your skin during the winter and is multifunctional, serves as protection from bacteria and germs without drying out the hands and skin. Great aftershave for men too. Everlasting-Argan Solid Lotion Moisturizers - All variations but Geranium Rose and Helichrysum are exceptional for dry and irritated skin. Everlasting-Argan Neroli Shampoo and Conditioning Bar. After cleansing the hair once or twice with the bar, lather again and leave in hair for about 10 to 20 minutes for deep conditioning. If your hair is thin, perhaps not as long. A hair conditioner is a must, apply a suitable conditioner each time you wash your hair, focusing only on the strands of hair, avoiding the scalp. This provides a shine to your hair and prevents it from breakage. A hair treatment mask once a week to your hair care routine to keep your locks healthy (use our Everlasting-Argan Neroli Rose Shea Butter for this treatment). Avoid using a hairdryer. Although ideally, it is always good to let your hair dry naturally. If you are using a hairdryer, don't over dry your hair, as it will leave it frizzy and damaged. Try to set your hairdryer on the 'cool' mode, as it is gentler, although it might be a little time consuming. Try not to leave the house with wet hair. 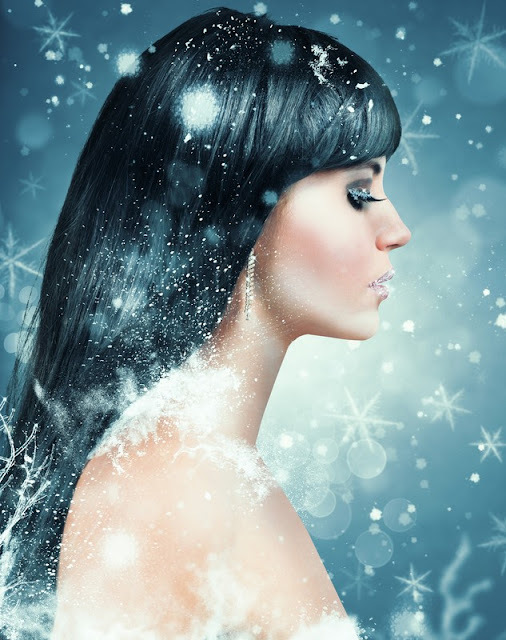 The cold weather can freeze the hair at the cuticle and cause it to break. So as we head into the fall and winter months, it is our hope that the above hydration, protection and repairing treatments will be very useful and effective for you as the temperature starts to drop during the holiday season (one less thing to worry about during those hectic months). Please sign up for the newsletter for a chance to win the products listed above. 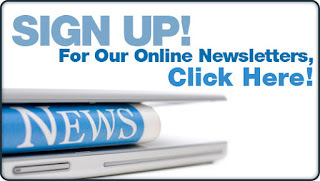 By subscribing to our newsletter, you are also agreeing to receive news on other Lovely Lady Products and Services. The promotion is open to new customers who sign up for the Lovely Lady Products Newsletter. Current registrants can also enter the promotion, by re-entering their details. By submitting these details and entering for the change to win one of the organic body care skin sets, you consent to your personal details being used by Lovely Lady Products to send your our campaign, promotional and informative emails.